ALERT: Your photo could not be uploaded at this time. I thought it was my local network or 3G network that was preventing me from completing the upload. So I did some digging around and found what’s causing the issue — the Location Services setting for Facebook on your iPhone. On your iPhone, go to Settings > General > Location Services. Verify that Location Services is set to ON. 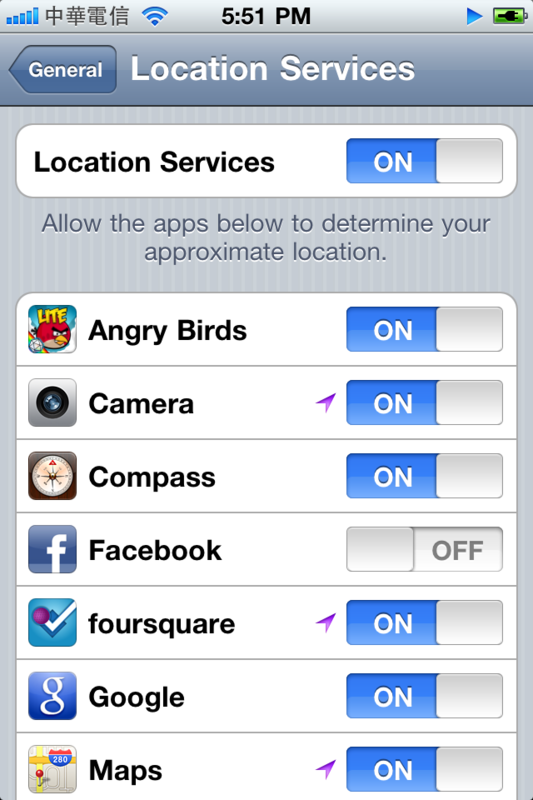 In the list apps that uses Location Services, look for Facebook. Verify that Facebook is set to ON. That’s it. The error should no longer occur and you should now be able to upload photos to Facebook from your iPhone. If it didn’t work or you have questions, leave a comment below. It worked but I’m irritated that they need to know my location in order to upload a photo. I can access my camera tool but no longer access my albums on iPhone 7 from Facebook as of last FBI update. Is there a workaround of way to rectify this? My Facebook app doesn’t even shows up. What do I do now. Thanks that worked for me!! It’s because Apple changed the location in iOS 6, I think. Please check here for updated instructions. I just try this. Like just now. 🙁 and it won’t let me upload one of my videos on Facebook. Why is it doing this? I’m trying to upload pictures off my phone but its sayin that ain’t got facebook configure so I clicked onto settings and following what they are saying but it ain’t working can someone please help me! :). Thank you. This is what worked for me. After months of being frustrated this finally worked, but a little differently… Settings-General – Location Settings… Facebook was turned on, but CAMERA was not. When I turned “camera” to on, and restarted my iphone…. voila! Finally working!! Thanks! I still can’t upload pics to fb.. This isn’t working for me! I did this for both the Facebook app and safari and I still can’t upload from either. Safari says my browser doesn’t support uploading pictures and my app will try to upload and then fail. I’ve been uploading to Facebook just fine since I’ve got my phone and today is the first time I’ve encountered this problem. Please help! I just recently got my iphone not even a week ago. I cannot get photos to upload to FB. I keep getting the error message ‘Error sharing photos’. I tried the fix here, but it did not work. My location is turned on, so I did turn it off and turn it back on again… unsuccessful. I have also uninstalled and reinstalled the app 3 times, nadda… please help, this is very frustrating. ive tried turning the location services on and off many times and still no luck, i have also unstalled and reinstalled the app without any luck. HELP! Didn’t work for me. Posted a pic a few hours ago then deleted post to change the caption. Unable to post pics ever since. The pic goes to my ‘mobile uploads’ but post doesn’t go to wall or news feed. Another weird thing is screen goes to black the second the upload shows as being done. kames1, what iOS version are you using? @IrisCruz Did you install the Facebook app on your iPhone? Or you’re using Facebook via your iPhone’s Safari browser? hi, I followed the instructions above but i do not see the facebook app under location services…can you help. Thank you so much for sharing the solution! Thank you SO MUCH for posting – this was driving me crazy – the fix worked!! FFS! Thank you! This has been bugging me for AGES! Great Suggestion. Works fine now!!! WOOOOHOOOO It worked..!!! Your The Man..!!! Thanks 🙂 It seems to me very strange, but it works. Thank you! We've been struggling with this for months! So easy when you know how! Thanks, it worked for me and stopped me pulling my hair out! You the man !!! Thanks bro !!!!! OMG ALL THIS TIIIIIME I DIDNT KNOW WHAT WAS WRONG NOW IT WORKS!!!! I wish Verizon's tech could have suggested this weeks ago! Thanks so much! Awesome, thanks! This has been driving me crazy!!! Easiest fix ever! Thanks so much. 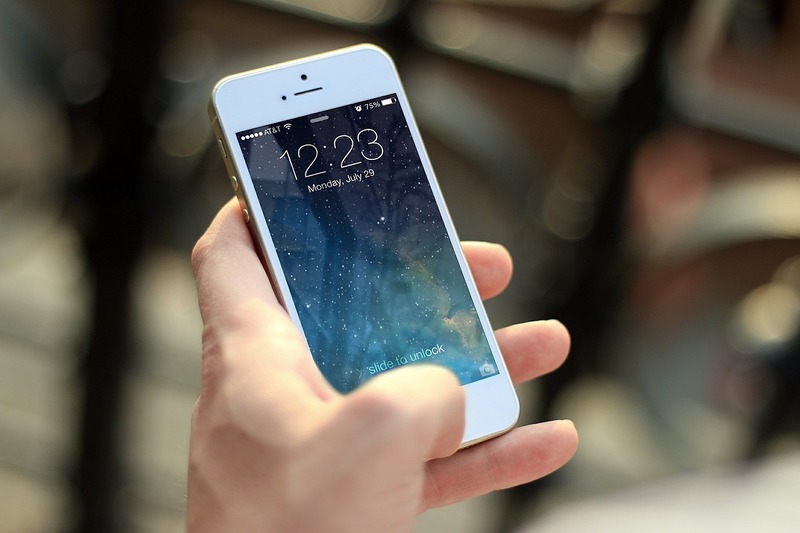 Have you tried restarting your iPhone? You rock. This totally worked …. ! Thanks!! I just found that if you turn location services completely off for the whole phone, that also seems to allow the photo to be uploaded. Interesting…. Thank you! I made sure Facebook was turned on but it still didn't work. Then I saw your post and turned off location services completely and now it's working just fine. @Doug: That is interesting. I guess that confirms that this is an "undocumented feature" (AKA bug). Yep, 2012 and the fb app is still buggy. I couldn’t upload photos or video via 3G or wireless…but I turned OFF location services and it worked first go. Insane. I can't believe this is being touted as a "fix". This is another attempt by Facebook to erode user security. @Steve: I know a lot of people have issues with Facebook's privacy measures. I don't totally agree with some of their policies, but I am able to tolerate them for now. If I were one of those people who hate Facebook for their privacy policies, I'd stop using Facebook. They say if you can't stand the heat, get out of the kitchen. Zuck it up or take it up with Zuckerberg. Excuse the pun. This works, but I don't know if I WANT the Location Services for Facebook turned on. What exactly does this do? Does it mean that the photos posted will now have GPS data embedded in the code? I don't want that. Anyone with info on this?? @Melanie: I think Facebook requires Location Services for Places (check-ins). You can just disable it again after you upload your photos. Your photos are geo-tagged by your iPhone, not by the Facebook app. Thank you! Will keeping it on run down the battery faster? @Elissa: I don't think so. Facebook doesn't really use Location Services unless you check into places or take photos. cheers mate i was baffled!!! @Jay — I googled this and found your solution on page 2. Thank you so much; this was the problem! A lot of the time I turn off location on my iPhone 4 to save battery. Thanks again! @Mike and all: I'm glad to be of help. Thank you, too, for letting me know that you find this post useful. OMG !!!! Thanks you so much!!!!! OMG, U JUST SAVED MY LIFE, ANYONE READING THIS, IT ACTUALLY WORKS, NO FRICKEN JOKE, THANK GOD!!!!!!!! Quick and easy… Also forever grateful – eres el puto amo! OMG, It worked! Thank you so much. Thanks for the tip. It works. THANK YOU THANK YOU THANK YOU. It worked.